Let the experts at Simply Delicious take care of all the arrangements. From the menu to service and, of course, amazing cuisine our food and service staff are the best in New Jersey. We’ve fine-tuned out menu over the years and are constantly looking for ways to improve. Give us a try and see why we have the reputation for the finest Secaucus Catering company. We train our staff extensively to understand the nuances of serving our clients events. We feel it every important to have a well-trained staff representing us at your event. Our Event Specialists are really, truly the link to the success of your event. They are the core of really understanding for vision and then helping to develop the event order to bring your vision to life. 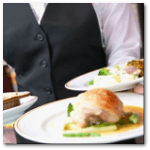 We have a trained event supervisor on-site to orchestrate the culinary staff at the event to make it successful. 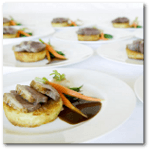 Are you looking to locate a good catering company That can provide outstanding and reliable service in your area for a price within your budget? Simply Delicious is the right choice! From our headquarters in Secaucus, New Jersey we cater corporate or personal events throughout the area. Let’s simply delicious make your events memorable and please all of your guests. An event or party is often a reflection of the host. 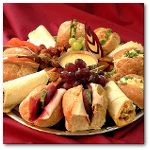 Make sure you shine during your next corporate event or party and go with the professionals at Simply Delicious Catering in Secaucus NJ. Our friendly staff is standing by to discuss your next event.